LONDON – And now for the good news: climate change could actually make life better for some creatures. The ibex in the Swiss Alps may find an extra spring in its step. The roly-poly pika of the American northwest might find it has gained an edge over its predators because it is adapted to a high fiber diet. The news is not uniformly good: climate change is already taking its toll of Arctic peregrine falcons and chinstrap penguins on the Antarctic Peninsula. But change is not always for the worse. 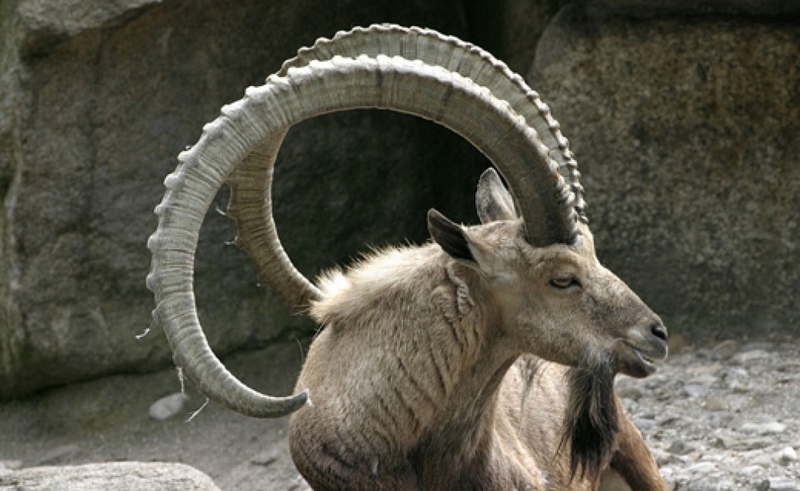 The Alpine ibex will be a clear winner with climate change, its horns growing in the warmer weather. A team of scientists led by the Swiss Federal Institute of Forest, Snow and Landscape Research reports in Ecology Letters that they used dendrochronological techniques (the scientific method of dating based on the analysis of patterns of tree rings) to monitor the response of the mammal Capra ibex to patterns of climate change. Climate scientists have been using these growth rings in tree trunks to read evidence of seasonal and annual change; the growth rings in the large, curved horns of the male Alpine ibex or wild goat would also tell a story. They analyzed more than 42,000 increments of horn growth from more than 8,000 male ibex, collected since 1964, in annual culls and hunting programs regulated by the Swiss government. The ibex is a protected species, so careful records are kept of each kill. To make sense of the data, the researchers had to allow for the age of the animal at death, and the year of its death. But a pattern began to emerge: horn growth is affected by changes in European springtime temperatures. Warmer temperatures between March and May mean an earlier snowmelt and more and tastier alpine grasses and herbs for the ibex – and thus better vitality. Such research was intended primarily to check on the health of the ibex population: the creature was once hunted almost to extinction. The roly-poly pika of Oregon is a little lagomorph – a member of the rabbit family – that tends to live in rockslides near sea level. In hot weather, most animals would be forced to leave the shade and shelter to go in search of food – and become easy prey for weasels or hawks or death from overheating. 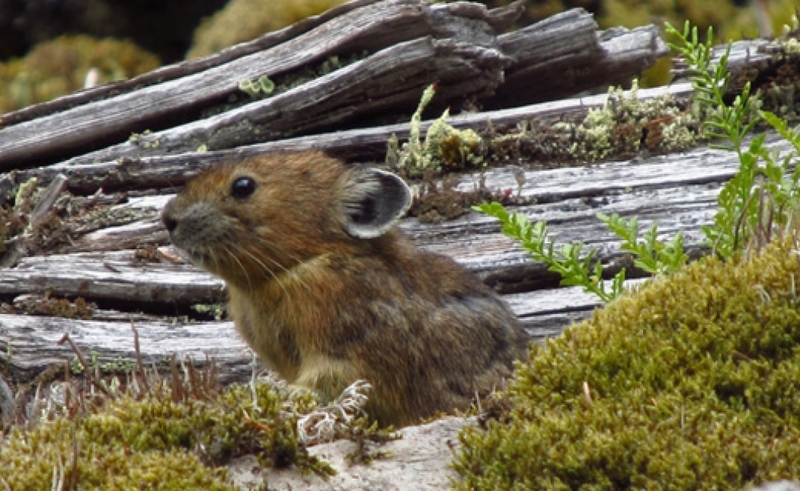 The moss-eating, fiber-loving roly-poly pika has a bright future despite climate change. The pika is sensitive to heat: the animal is almost spherical, with a thick fur coat and a high metabolic rate which should make it peculiarly at risk from global warming – either it moves higher up the mountain with each rise in temperature, or it dies. The Oregon pikas seem to have adjusted to change by staying on the warmer, wetter slopes and adapting their diet. Chinstrap penguins of the Antarctic Peninsula, however, have been conspicuous victims of a warming world, according to U.S. researchers who have been tracking population changes. The Antarctic Peninsula has warmed by 3°C in summer and 5°C in winter in the last 60 years. The researchers had started with the hypothesis that tourism – on the increase in the region – might be affecting penguin populations: however, they found that even at sites that experienced little or no tourism, there had been declines of as much as 50 percent in the population. A study of Arctic peregrines in Canada, however, found an unequivocal connection between declines in falcon numbers and global warming. A team monitored nest boxes near Hudson Bay, and found that more than one third of peregrine chick deaths were caused by rain, linked to warmer summer temperatures. “The nestlings died from hypothermia and in some cases from drowning in their flooded nests. Without constant parental care, they are most vulnerable to cold and wet conditions in the first three weeks of life,” said the research author, Alistair Franke of the University of Alberta.